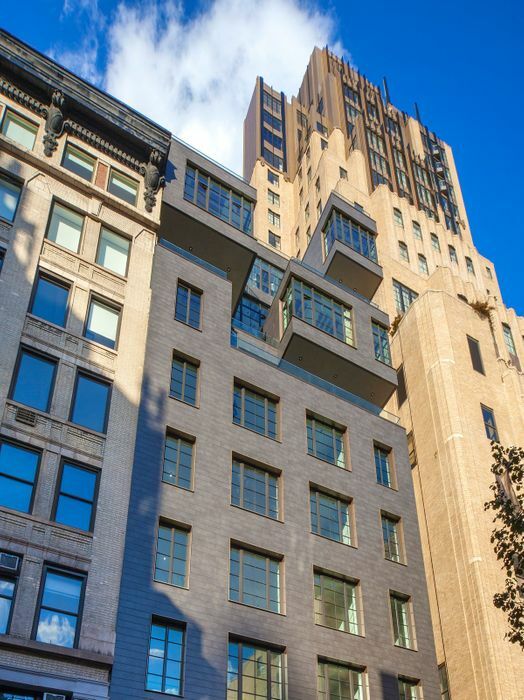 225 West 17th Street, 6B New York, NY 10011 | Sotheby's International Realty, Inc.
$2,495,000 2 Bedrooms2 Full / 1 Partial Baths1,483 sq. ft. 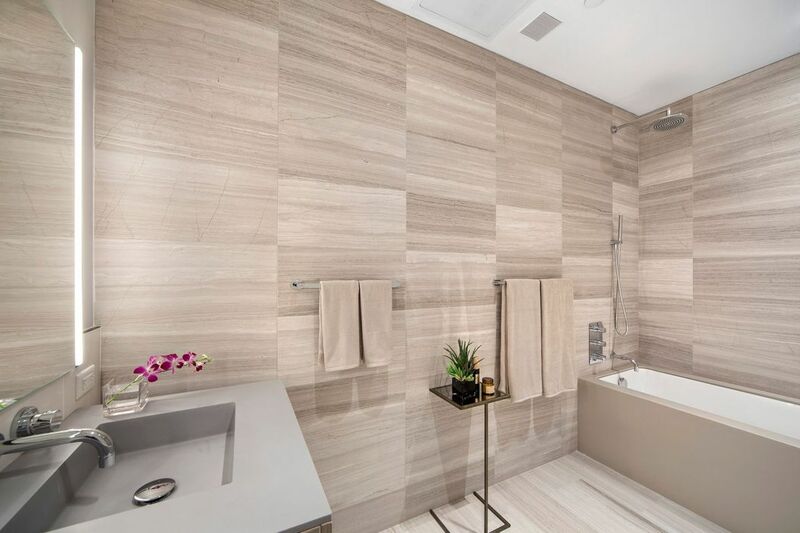 Enjoy serene living with all of the conveniences, security, and premium finishes of a boutique new development. 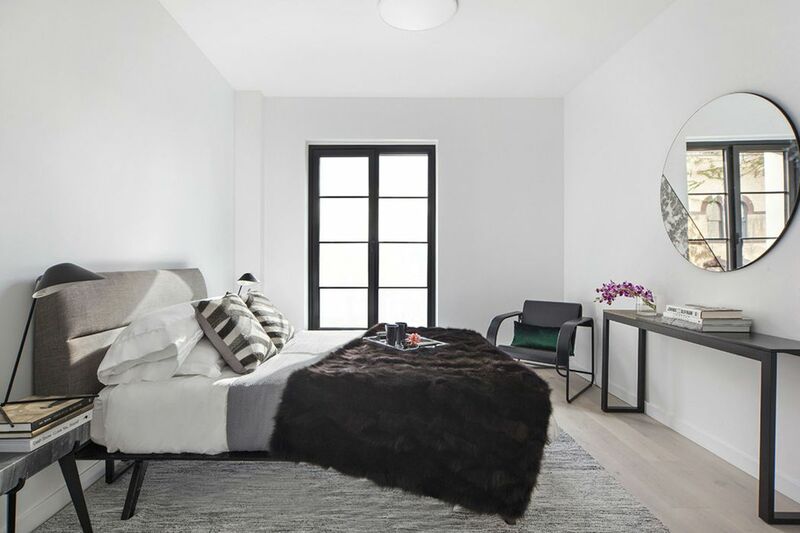 This split two-bedroom residence features include high ceilings, floor-to-ceiling casement windows, wide-plank distressed oak floors, and a contemporary yet timeless aesthetic grace the ambience throughout. Arrive from your semi-private landing into an entry foyer with adjacent powder-room and past the foyer lies a spacious great room with a wall of windows. 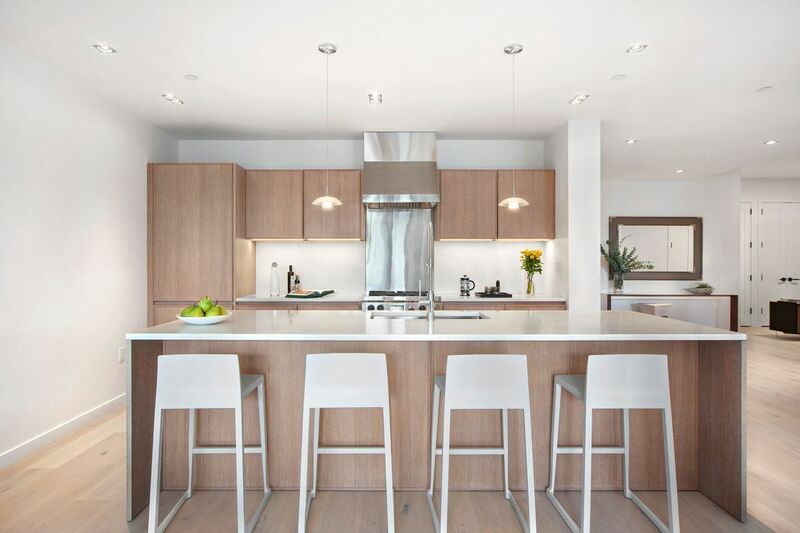 The gourmet kitchen is equipped with custom white oak cabinetry, engineered quartz countertops and backsplash, a huge eat-in island, and suite of high-end appliances from Sub-Zero, Wolf & Miele. The master as well as the secondary bedrooms have direct access to private balconies perfect for enjoying the seasons. 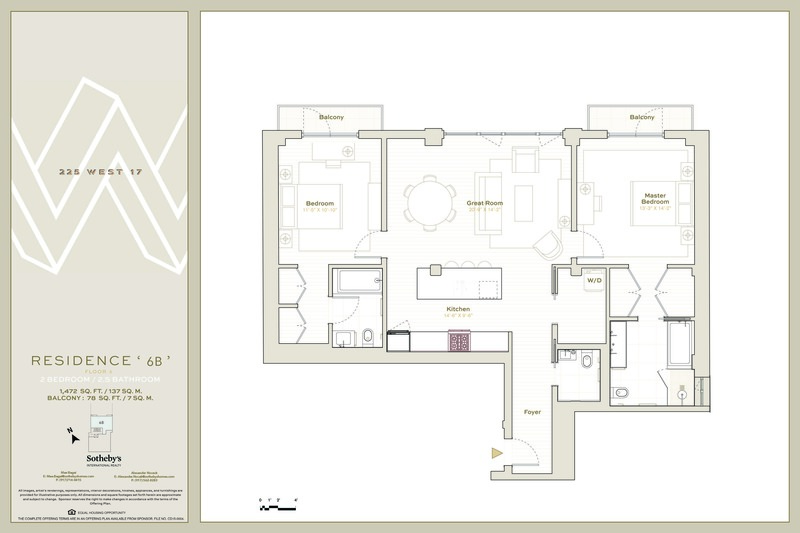 The two bedrooms are located on opposite wings of the apartment for privacy. 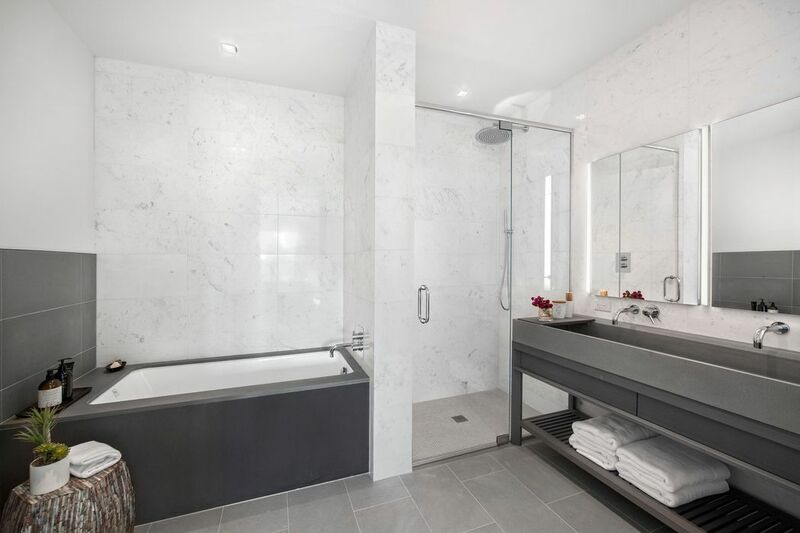 The master bedroom includes two large closets and a windowed 5-piece en-suite spa-like bathroom with White Persian honed marble walls, gray stone floors, gray stone double vanity sink, relaxing soaking tub & separate glass-enclosed walk-in shower. The secondary bedroom also features a large closet & a full en-suite bathroom. A Whirlpool washer/dryer provides in-home laundry convenience. 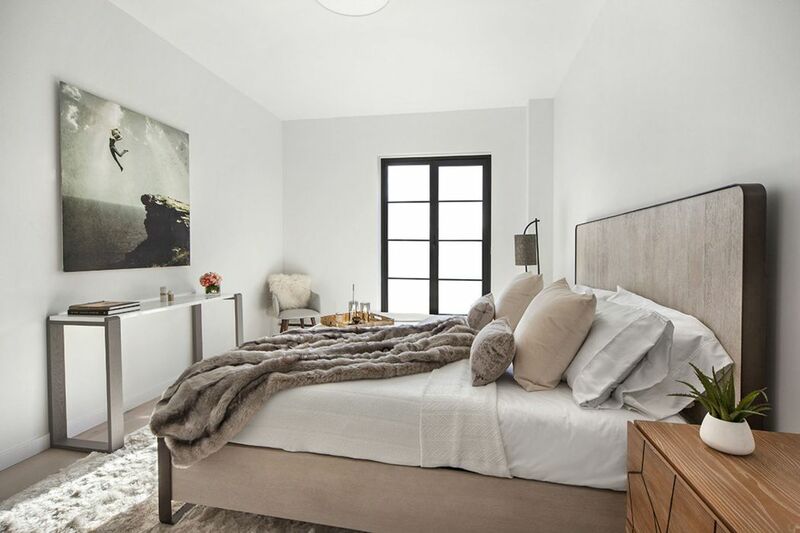 This attractively-priced luxury apartment is perfect for a family, pied-a-terre or primary home, and is poised for strong investment upside. 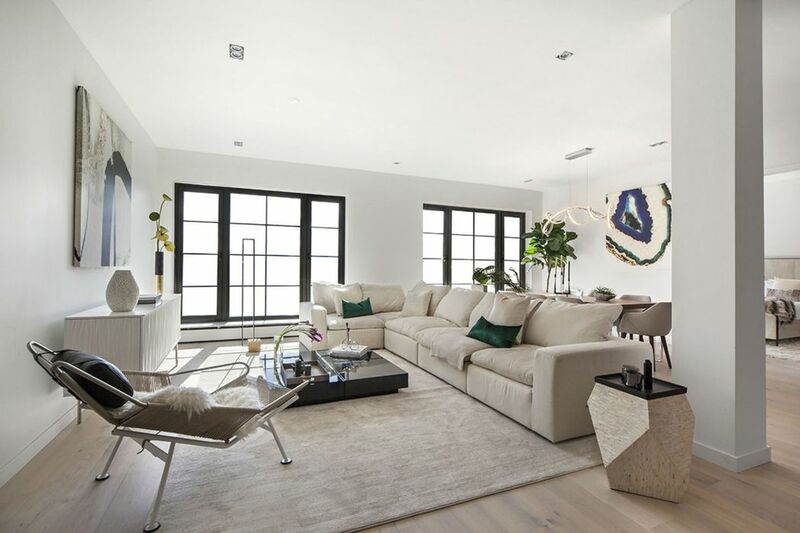 225 West 17th St offers an exclusive collection of 14 homes in the heart of Chelsea’s diverse array of boutiques, restaurants, galleries & cultural institutions. Minutes away is The Highline, Chelsea Market, Barney’s, Avenues The World School, and all the offerings of Flatiron, West Village, Meatpacking & Hudson Yards.